Burnley have the opportunity to pull clear of the relegation fight or get sucked back into the bottom three. Sean Dyche's Burnley have enjoyed three wins on the bounce but defeat to Fulham on Saturday afternoon could see them drop back into the relegation zone if other results go against them. However, the Clarets go into this match not only as the form team but with an impressive home record against the Cottagers. Burnley go into the weekend four points above 19th-placed Fulham and two ahead of the bottom three and have the opportunity to give themselves daylight between the relegation places. Dyche has a number of players in great form, providing him with a series of selection headaches for perhaps the first time this season. 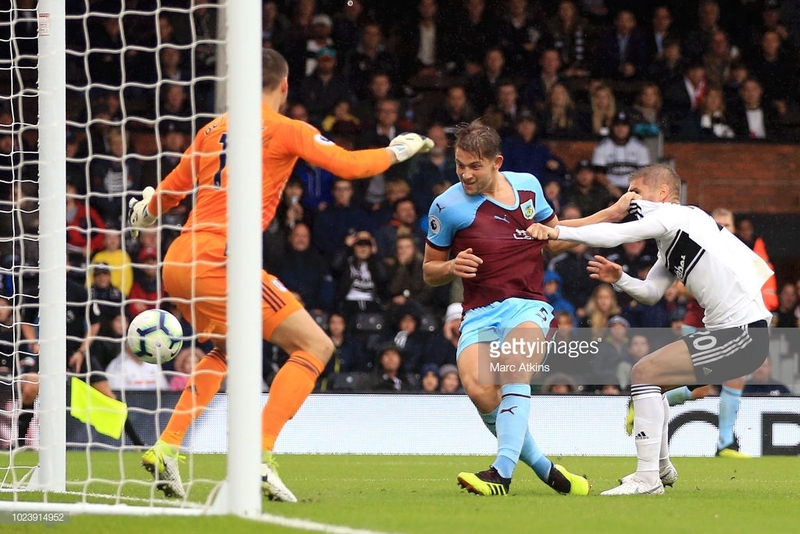 Yet the fans have recently voted overwhelmingly in favour of club captain Tom Heaton donning the gloves and the partnership of Chris Wood and Ashley Barnes continuing to lead the line. However, the Clarets will be without wide players Aaron Lennon and Robbie Brady, through injury and suspension respectively, whilst their most creative influence, Johann Berg Gudmundsson, faces a late fitness test. These two clubs have conceded the most goals in the Premier League this season but only relegation rivals Cardiff and Huddersfield, who also meet on Saturday, have scored less. However, Aleksandar Mitrovic does have eight goals to his name, two of which came in the reverse fixture, and will provide a threat against a Burnley side that have been particularly vulnerable from set-pieces. Meanwhile, Clarets striker Wood has netted three goals in his last three games. And goals are not often at a premium between these two clubs. There have been 18 in the four most recent meetings with Fulham running out 4-2 winners back in August. Yet the London side have lost eight of their last nine Premier League away fixtures. They have been behind by half-time in five of their past six matches on the road. It is not often you can say Burnley are unbeaten in their last 29 home games against a rival club but Fulham have not won for nearly 70 years, losing 24 of those meetings. And a shock FA Cup defeat to Oldham Athletic last time out will do them no favours. However, Claudio Ranieri can welcome back Callum Chambers with only Andre-Frank Zambo Anguissa and Alfie Mawson deemed unavailable.